Managing all of the various employees and tracking shifts, regular and overtime pay, cash and non-cash tips, and each employee’s hours can be a tremendously tedious and time-consuming task. 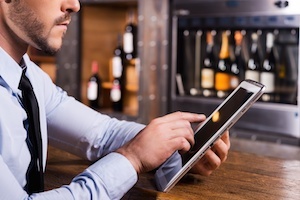 Your restaurant’s POS system should be designed to automate many of these processes while also providing greater insight into your employees’ productivity. Below are four features some POS systems offer that can help your manage and track labor more efficiently, giving you more time to spend on the things that really matter. Tracking employee hours and calculating both regular and overtime pay should be automated by the POS system. Each employee should receive a login pin that they enter on the POS interface to clock-in and clock-out out of their shifts. The system should then be able to automatically track and provide the number of hours each employee works, and the regular and overtime pay that they earn within a given time period. Permissions allow restaurant owners to control the actions and information that each user or role can access using the POS system. These permissions allow restaurant owners to restrict access to sensitive reporting and customer data and to add additional layers of control over certain aspects of their information. By customizing permissions, restaurant owners can do things like require a manager’s approval before voids or discounts can be applied. Some POS systems offer shift and close-of-day reviews that help simplify the closeout process for owners and managers. These reviews typically provide a quick look at each employee’s status, cash on hand, non-cash tips owed, and any unclosed checks. In addition to providing this information to managers, the POS system should also make it easy for managers to override information in the POS right from the review screen. If an employee forgets to clock-out, for instance, managers should be able to quickly clock him out and adjust his time card. Reporting is a key element of any restaurant POS system. Labor reports offer owners and managers with the appropriate permissions to see live insight about overall labor and pay, as well as detailed information about each employee's productivity. These reports should make it easy to identify labor cost percentages and the employees that are taking the most orders, receiving the largest average tips, and turning tables the fastest. Cloud-based systems provided the added value of making this data not only available in real-time, but also accessible from anywhere, using any device with internet access.